my adventures in craft control and other things. Stayed home from work today after waking up feeling like I was on a dinghy in the middle of a stormy sea. Blech. Tied to the sofa, I was able to tweak the photos for some new items I listed this past weekend. What do you think? I am really having fun with Etsy. It’s awesome! 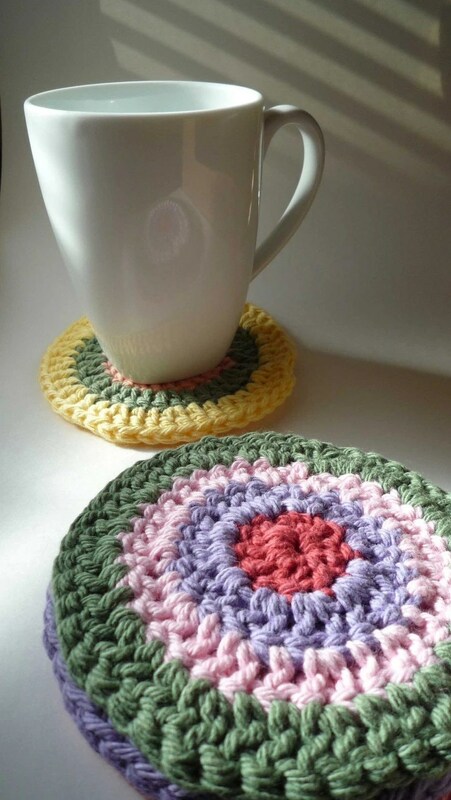 I made my fifth sale this weekend, to my dear friend Scott, who purchased 2 sets of my crochet coasters. The rainbow ones are my absolute favorite, and I am so strangely relieved and overjoyed that they’re going to be in the home of someone I love, and actually know. Your package shipped this weekend Scott, you should be resting your beverages in style by the end of this week! This entry was posted in crochet, etsy and tagged etsy. Bookmark the permalink. subscribe to my blog and get emails when I post something ground-breaking. My Erin Condren referral link. We both get $10 when you use it!